Have you ever thought how useful it will be having Bitcoin Magazines right with you, without having to worry about some information about Bitcoin? 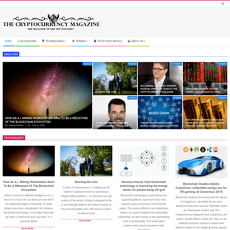 Different from regular paper magazines, Bitcoin Magazine is a platform where periodical publications on Bitcoin are displayed. There are several types of Bitcoin or crypto magazines on the site with each one of them having their credit to their publisher. Magazines are the new cool in keeping information together for a time frame (week or month) rather than having updates on daily news on your mobile device. With Bitcoin Magazine, you have an idea on what’s coming and things you should see in the market for some couple of days. 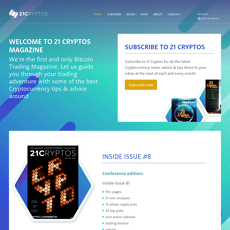 No doubt, Bitcoin Magazine is the best site for magazines with regard to content and its advanced design; the theme is perfect. It will interest you that it could be released either weekly or monthly, depending on what kind of publisher is doing the work. You could have a look-back at the previous week and what happened in the market to Bitcoin or showing how Bitcoin scaled through the month. There are several categories in which Bitcoin Magazine has been classified, they include; Reviews, Let’s talk Bitcoin, Mining, Payments, Adoption and Community etc. These different ways are just to ensure that all aspects of Bitcoin for the month or week is covered without leaving details. All these publications have their release dates. 1. Publications: On Bitcoin Magazine, you can either have Weekly, Monthly or Annual publications. 2. Media Event: There are several media events right on the site with various categories. Publications have been divided into categories.